BLAIS (Blay), MICHEL (Michel-Toussaint), militia captain and co-seigneur; b. c. 1711, probably at Berthier-en-Bas (Que. ), son of Pierre Blais and Françoise Baudoin; d. 5 Sept. 1783 at Saint-Pierre-de-la-Rivière-du-Sud (Saint-Pierre-Montmagny, Que.). Michel Blais came from a family of farmers. His grandfather Pierre Blais, a native of Angoulême, France, had arrived in the colony in 1664 and settled on the Île d’Orléans. His father lived in various places on the south shore, across from Île d’Orléans, and Michel, like his brothers and sisters, remained in the region. On 25 June 1741, at Sainte-Anne-de-la-Pocatière (La Pocatière, Que. ), he married Marie-Françoise, the daughter of Joseph Lizot, major of militia at Saint-Roch-des-Aulnaies. In the marriage contract signed that day before notary Étienne Jeanneau*, Blais is said to be a “habitant on the seigneury of Bertier.” Two years later he bought from Charles Couillard de Beaumont land with a frontage of eight arpents five perches and a depth of four leagues in the seigneury of Rivière-du-Sud; in 1775 he added eight and a half arpents to his holding. Although a prominent landowner in his area, Blais nevertheless claimed privileges to which he was not entitled. In 1770 Marie-Geneviève Alliés, widow of Jean-Baptiste Couillard, the seigneur of Rivière-du-Sud, took legal action against him and a number of local habitants for having disregarded the banal rights. The Court of Common Pleas on 14 Aug. 1770 condemned them to pay milling dues to the banal mill of the seigneury. Blais would not give in so easily; on 6 Sept. 1774 another judgement ordered him to demolish the windmill he had “improperly put up” in this seigneury which belonged to the under-age son of Jean-Baptiste Couillard. This time, it seems, the authorities prevailed over his obstinacy. 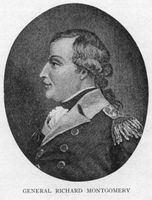 At the time of the American invasion Blais remained loyal to the British government, but he does not appear initially to have adopted a firm position. Although he had resumed his office in the militia, in January 1776 he agreed to announce at the church door that a certain Pierre Ayotte was recruiting men for the American cause. Later he explained that he had done so “to prevent greater harm” and that his tone had been “so ironical that no one showed up.” Nevertheless several habitants of the village, like many others in the region, joined the ranks of the rebels; the divisions thus caused among the population became evident on 25 March 1776 at Saint-Pierre, in Captain Michel Blais’s home. At this time the Americans were still occupying a post at Pointe-Lévy, across from Quebec, and were preparing to make forays into the region of Côte-du-Sud. About mid March the British authorities had commissioned a former officer of the French colonial regulars, Louis Liénard* de Beaujeu de Villemomble, then living in retirement on Île aux Grues (downstream from Île d’Orléans), to assemble the royalist forces in the region for an attack on the American post. In a few days a force was raised, and its advance guard of some 50 men quickly reached the village of Saint-Pierre, where Michel Blais’s house became their headquarters. The Americans, alerted by their supporters, sent a detachment of 80 men who were joined by some 150 Canadians, and on 25 March they attacked Blais’s house, from which the British flag was flying. “In this action,” wrote Simon Sanguinet, “fathers were to be found fighting against their sons, and sons against their fathers – which will no doubt seem quite extraordinary.” Three of the royalists were killed and several were wounded, including Abbé Charles-François Bailly de Messein, who was chaplain to the volunteers. All those unable to escape were captured by the Americans. After the Congressional forces had withdrawn, Governor Guy Carleton* ordered an investigation in the parishes of the District of Quebec with the object of reinstating the militia there and of making a list of the habitants who had collaborated with the Americans. At Saint-Pierre Captain Blais and his son Michel, a lieutenant, were recognized as “the only persons in that parish who have been plundered by both Bostonians and rebel Canadians.” In the face of such proof “of the Sieur Michel Blay’s zeal and affection for his King,” the investigators, François Baby*, Gabriel-Elzéar Taschereau*, and Jenkin Williams*, allowed father and son to retain their positions in the militia. At the time of his death in 1783 Blais was serving as syndic in charge of building the new parish church at Saint-Pierre, and hence his name is on the cornerstone of the building. Eleven years later Bishop Hubert gave permission for Blais’s body to be transferred to the new church. Blais had had at least five children. Two daughters, Marguerite and Marie-Joseph, became Ursulines. 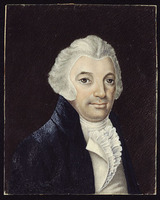 His son Louis was a member of the assembly for Hertford County from 1800 to 1804. 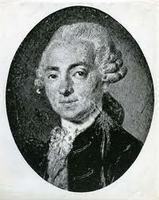 ANQ-Q, Greffe d’Étienne Jeanneau, 25 juin 1741. Archives paroissiales, Saint-Pierre-du-Sud (Qué. ), Registre des baptêmes, mariages et sépultures, 8 sept. 1783, 22 oct. 1794. AUM, P 58, Doc. divers, B 1, 14 août 1770, 6 sept. 1774. IBC, Centre de documentation, Fonds Morisset, Dossier Michel Blais. Invasion du Canada (Verreau), 105–6. “Journal par messrs Frans Baby, Gab. Taschereau et Jenkin Williams . . . ,” Ægidius Fauteux, édit., ANQ Rapport, 1927–28, 480, 485, 487. PAC Rapport, 1888, note B, 18–20. “Rencensement du gouvernement de Québec, 1762,” 31. Claude de Bonnault, “Le Canada militaire: état provisoire des officiers de milice de 1641 à 1760,” ANQ Rapport, 1949–51, 336. Caron, “Inv. de la corr. de Mgr Hubert et de Mgr Bailly de Messein,” ANQ Rapport, 1930–31, 308. Godbout, “Nos ancêtres,” ANQ Rapport, 1957–59, 389–91. P.-G. Roy, Inv. concessions, I, 204–6. Tanguay, Dictionnaire. Burke, Les ursulines de Québec (1863–66), III, 367–68. Lanctot, Le Canada et la Révolution américaine, 148–50. 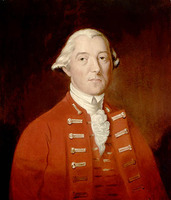 G. F. G. Stanley, L’invasion du Canada, 1775–1776, “Canada invaded,” Marguerite MacDonald, trad. (Québec, 1975), 125, 133. F.-J. Audet, “La seigneurie de la Rivière du Sud,” BRH, VII (1901), 118. “Le capitaine Michel Blais,” BRH, VI (1900), 375–76. 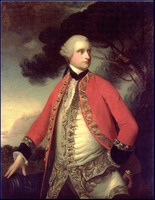 Ivanhoë Caron “Les Canadiens français et l’invasion américaine de 1774–1775,” RSC Trans., 3rd ser., XXIII (1929), sect.i, 21–34. M.-M. Dumouchel-Butler, “William (Guillaume) Ross,” SGCF Mémoires, XXV (1974), 170–82. Archange Godbout, “Les émigrants de 1664,” SGCF Mémoires, IV (1950–51), 219–20. Marie-Céline Blais and Jacques Morin, “BLAIS, MICHEL,” in Dictionary of Canadian Biography, vol. 4, University of Toronto/Université Laval, 2003–, accessed April 22, 2019, http://www.biographi.ca/en/bio/blais_michel_4E.html.